Dr. Corliss D. Heath has nearly 25 years of professional experience in public health research. She holds a Bachelor of Science degree in Mathematics from Clark Atlanta University. She received a Master of Public Health degree in Biostatistics and a Master of Divinity degree, respectively from Emory University. Until August 2010, she worked as a HIV/AIDS researcher at the Centers for Disease Control and Prevention (CDC) in Atlanta, GA. She then moved to Tampa to pursue doctoral studies and in 2014, graduated from the University of South Florida (USF) (Tampa) with a PhD in Applied Anthropology specializing in medical anthropology. Dr. Heath is a Health Scientist in the Office of HIV/AIDS Training and Capacity Development (OTCD) at the Health Resources and Services Administration (HRSA)/HIV/AIDS Bureau in Rockville, MD. There she leads various projects supporting the development of leadership, evaluation, and training to assure the provision of high quality HIV/AIDS prevention and intervention, care and treatment services of people living with HIV and AIDS. Her research interests include HIV/AIDS prevention, intervention, and care, mental health, religion and culture, black feminist/womanist theory, and health inequities and inequalities. 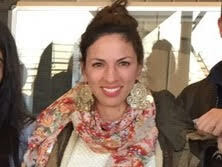 Shana Harris is a medical anthropologist with over a decade of experience researching drug use and abuse and health politics and practice in Latin America and the United States. Her dissertation and postdoctoral research ethnographically examined the adoption and promotion of harm reduction interventions in Argentina. Her current research focuses on medical travel and the use of a psychedelic called ibogaine for drug treatment in Mexico. Her articles have appeared in several scholarly journals, including Medical Anthropology Quarterly, Human Organization, and Substance Use & Misuse. She is currently an Assistant Professor in the Department of Anthropology at the University of Central Florida. Michael Duke is a medical and labor anthropologist whose work focuses on the physical and mental health of Latinos and Pacific Islander immigrant populations. A particular focus of his work concerns the role played by discrimination and historical trauma on depression, anxiety, substance abuse, and PTSD.. He is the Director of Research at the Center for the Study of Child Care Employment at the University of California, Berkeley. Beatriz Reyes-Foster is a medical anthropologist and associate professor of anthropology at the University of Central Florida. Her research considers the ways medical systems reproduce colonial relationships in the context of psychiatric hospitalization. She is interested in health inequalities, indigeneity, race, and illness experience. Her theoretical orientation is strongly influenced by critiques of coloniality and power and a commitment to epistemic plurality. She has conducted ethnographic research in Yucatan, Mexico, since 2003. Most recently, she has concluded research on reproductive health and infant feeding in Central Florida. She is the author of Psychiatric Encounters: Madness and Modernity in Yucatan, Mexico. Kristin Hedges is an Assistant Professor of Anthropology at Grand Valley State University. Her research interests are linked to gender inequality and health; including HIV/AIDS, infectious disease, reproductive health, juvenile justice, and substance abuse. Her work focuses on structural vulnerability and how local contexts impact health and healing. She conducts research in Kenya and the US. Laura Meek is a Ph.D. candidate in Sociocultural Anthropology at the University of California, Davis. She holds an MA in Women’s Studies from George Washington University and a BA in Comparative Human Development from The University of Chicago. Laura’s dissertation explores the globalization of pharmaceuticals in East Africa, embodiment and bodily epistemologies, and the ethics of healing. She conducted over two years of ethnographic fieldwork in Tanzania (supported by grants from the National Science Foundation and the Wenner-Gren Foundation), examining how pharmaceuticals were used and understood by diversely situated social actors. In her dissertation, Laura frames her interlocutors’ engagement with pharmaceuticals as a form of healing—involving the re/creating of right social relationships—and contrasts this with a biomedical emphasis on curing—which locates the efficacy of medicines in their chemical properties, rather than in the contexts and circumstances of their use. The work that emerges from this research lies at the intersection of medical anthropology, postcolonial studies, and feminist science studies, and grapples with how to theoretically render both radical uncertainty and “world making” innovation in Africa today. Additional areas of research interest include counterfeits & other “fakes”; the history of medicine and healing across the Indian Ocean world; methods as theory; bodies, experimentation, and practices of dreaming. Jane L. Saffitz is a Ph.D. Candidate in Sociocultural Anthropology at the University of California, Davis. She holds an MSW in Policy Practice and International Social Welfare from Columbia University, and a BA in History from Washington University in St. Louis. Her work explores the politics of albinism in Tanzania, where in recent years a minority population of people with light skin—biomedically said to have albinism—have been murdered and violently attacked. She conducted over 22 months of fieldwork between 2012 and 2018 funded by the Fulbright-Hays Program, National Science Foundation, Wenner-Gren Foundation, and the University of California. The resulting dissertation details the work of traditional healers and laborers in extractive industries who are rumored to use albino body parts in medicines, as well as the activism of transnational albinism rights NGOs, humanitarians, scientists, and journalists who aim to transform albinism into a uniformly understood artifact of biomedical knowledge. More broadly, Jane’s research and teaching interests address violence and humanitarianism; social movements, development, and the future; and comparative epistemologies of health and healing in East Africa. Jan Brunson is a medical anthropologist (Ph.D. Brown University) specializing in discourses on women’s health in the global South. Her research intertwines medical anthropology, gender studies, demography, and cultural studies of science, technology, and medicine. She has conducted ethnographic research in Nepal on women’s health and the politics of reproduction for over a decade. Her research portfolio includes studies of global contraceptive technologies and family planning discourses, maternal health in resource-poor settings, and Maoist motherhood in Nepal. Her first book is titled, Planning Families in Nepal: Global and Local Projects of Reproduction (2016, Rutgers University Press), and her articles appear in the scholarly journals Social Science and Medicine, Ethnos, Studies in Family Planning, Practicing Anthropology, and Studies in Nepali History and Society. Vanessa M. Hildebrand is an assistant professor of anthropology at Case Western Reserve University. She has been conducting research in Indonesia since 2000 on the complexities involved in caring for human reproductive health, especially in communities where women are vulnerable as a result of structural and social disenfranchisement. In the last two years, she has expanded her research sites to include Cleveland, Ohio. Hildebrand’s research has primarily focused on the experience and practice of the Skilled Birth Attendant midwives (SBA midwives), a category of midwife that is ubiquitous in global reproductive health programming. In this research, she seeks to understand how the idea of expertise is challenged, developed, or maintained in a complicated social terrain that includes contested authority and knowledge sources. Amy Dao is an Assistant Professor of Anthropology at Cal Poly Pomona. She is a medical anthropologist (Ph.D Columbia University) whose research focuses on how concepts of care shape economic life. Her most recent project examined how the implementation of universal health insurance coverage in Vietnam was mediated by kinship relations, risk perceptions, and temporal frames. She conducted ethnographic research on the variety of actions people took to obtain health care as the country’s health system was re-organized following market principles. Find out more about her work at here (https://sites.google.com/view/amydao/) and follow her on twitter @AmyDao. Nora Kenworthy is an Assistant Professor in the School of Nursing and Health Studies at the University of Washington, Bothell, and Adjunct Assistant Professor of Anthropology at the University of Washington, Seattle. Her research explores the politics of global health governance, the sociopolitical impacts of HIV initiatives in southern Africa, and the changing roles of corporations in shaping global health policy. Kenworthy is the author of Mistreated: The Political Consequences of the Fight Against AIDS in Lesotho (2017, Vanderbilt University Press), and co-edited the volume Case Studies in Corporations and Global Health Governance: Impacts, Influence, and Accountability(2016, Rowman & Littlefield). Her more recent work looks at the use of crowdfunding for health care costs in the US and abroad. Tyler Zoanni is a Ph.D. candidate in the Department of Anthropology at New York University. His dissertation focuses on religion and disability in Uganda, and his wider interests include personhood, the senses, medical anthropology, politics and aesthetics, and visual anthropology. Tyler’s writing and filmmaking work can be found at www.zoanni.com. Carolyn Egesa is a Ph.D. candidate in Medical Anthropology, Amsterdam Institute of Social Science Research, University of Amsterdam. Carolyn holds a masters of science degree in social science from the University of Southampton, UK and a bachelor of arts degree from the University of Nairobi, Kenya. She has over ten years of research experience working in various capacity in sexual reproductive health and rights in Kenya and SSA. Carolyn is interested in programs and policy debates on the issues that shape health outcomes among men in urban spaces in Africa and of greatest concern are those living marginalized urban spaces. 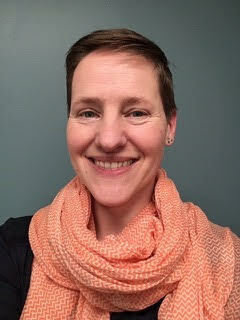 Her current study seeks to understand the ideas about men and manliness that are produced, maintained, and circulated in gender-based violence prevention programs and how understandings of responsible masculinity in Africa are situated in relation to male-involvement initiatives, and to broader social and historical shifts related to the gender equality assemblage. Rachel Carmen Ceasar is a medical anthropologist, educator, and the founder of Culture of Health+Tech Consulting. Her research in the U.S. has examined the opioid epidemic, clinical information needs at the point of care, and for her next project—the marijuana market and its impact on growers’ health. Marieke van Eijk is a medical anthropologist and Lecturer in Medical Anthropology and Global Health at the Department of Anthropology at the University of Washington, Seattle. She received her Ph.D. from the University of Amsterdam, the Netherlands. Armed with a cross-cultural approach, in her research and teaching, she examines the political health care economies and the forms of labor they produce that create substantial health burdens and challenge the provision of affordable, quality care. Focusing on hidden labor in health care, her recent project analyzes the work of administrative personnel charged with processing medical bills who labor behind the scenes to overcome the shortcomings of privatized U.S. managed care. Her previous research investigated transgender health care delivery in the United States. Jacklyn Grace Lacey is Senior Museum Specialist of African and Pacific Ethnology in the Division of Anthropology at the American Museum of Natural History in New York City. Her work at AMNH analyzes museum discourses on African culture and technology. Her recent work is exploring the intersections of infectious disease epidemiology, medical anthropology and the environmental humanities. She received funding from the Carter Center to create a multicultural, multilingual curriculum (“Politics, People & Pathogens”) connecting these topics to the ongoing special exhibition about disease eradication at AMNH, “Countdown to Zero.” She partners with medical practitioners describing the methods and politics of syncretic healing traditions in Tanzania, Kenya, Sudan, as well as in Polynesia, the Caribbean and in American diaspora communities. An active museum educator, she is a mentor in the AMNH Science Research Mentorship Program (SRMP) as well as a curriculum writer and educator in the Lang and ASP educational initiatives at AMNH. Recent presentations on these themes include the American Ethnological Society, AAA, the Sydney Environmental Institute, Leeds University (“Post-colonial Disasters”) and “Histories of HIV/AIDS” and “Curating the Future: Museum, Communities and Climate Change,” multinational conferences she co-convened with colleagues at AMNH. Janelle Lamoreaux is Assistant Professor of Anthropology at University of Arizona. Her work focuses on the anthropology of science and technology as they relate to gender and reproduction. She is especially interested in the intersection of reproductive and environmental health. She is currently finishing a book project based on research in China, where conditions of toxicity and imaginations of bodily interiors and exteriors materialize as epigenetic environments. At Arizona, she teaches and mentors students in medical anthropology, particularly the anthropology of exposure, gender and environmental health.